Indigo Forward is headquartered in the heart of the City of London and operates globally via international offices in New York, San Francisco, Frankfurt and Singapore. Founded in 2004 and having worked with a range of companies, the team at Indigo Forward offer a professional and experienced service. With a support team working around the clock and the globe to ensure our clients can call on us any time day or night, we have worked to create a seamless process that is entirely client-focused. 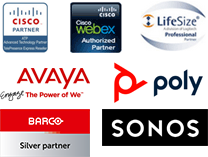 As part of our client commitment, we have also invested heavily in research and development, working to gain accreditations from noted providers Cisco, Polycom and Lifesize. This constant drive forward allows us to remain at the forefront of innovation in audio conferencing and provide our clients with an unrivalled service that helps enrich and add value to their communications. The team at Indigo Forward have 35 years of combined experience, which means we have an in-depth and nuanced understanding of a Company’s global communications requirements. Having built our unique platforms, we can offer bespoke solutions that can be delivered across the globe and that truly add value to any business. Our commitment to quality sees us deliver innovative solutions that set unprecedented standards in our sector; allowing us to become one of the leading names in conferencing. Not only that, but we work in partnership with Sedex, representing our real commitment to operating our business in an ethical and responsible manner. With ambition and a real drive to change the field of communications, at Indigo Forward we hope to become one of the leading names in Video Conferencing. In order to achieve this we continually reinvest in research, development and training; ensuring that our team and products offer only the most advanced technology and sophisticated solutions. We also have a deep commitment to independence, meaning we can offer impartial advice, helping our customers to find a product or bespoke solution that is moulded to their business needs. We believe this commitment helps us to achieve our ethos of making communication seamless, convenient and cost-effective.